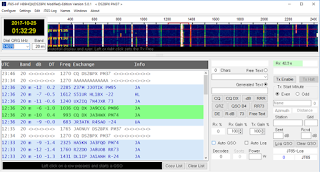 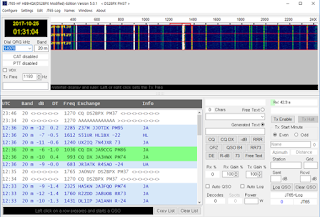 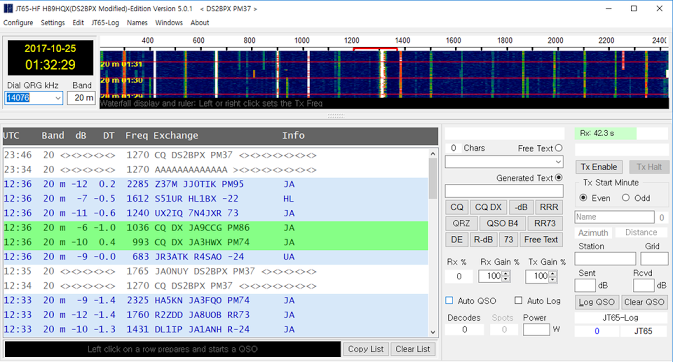 The user interface of JT65-HF mainly uses fixed single mode. 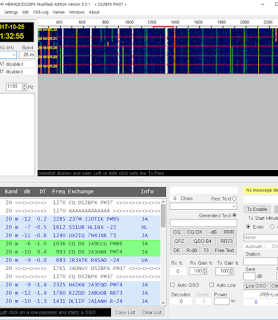 fixed single mode is one of Graphic user interface methods, It can not be optimized for various screens because it does not check the dynamic changes of the screen. 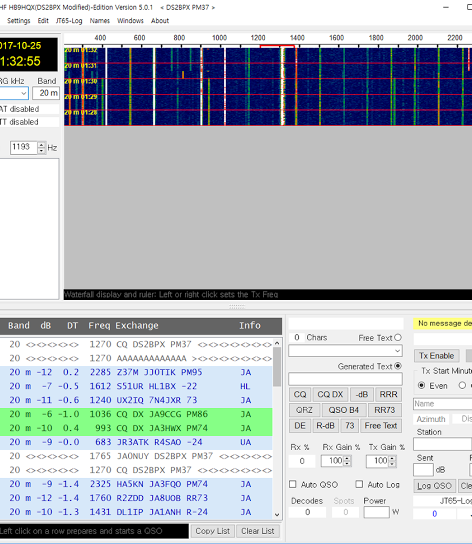 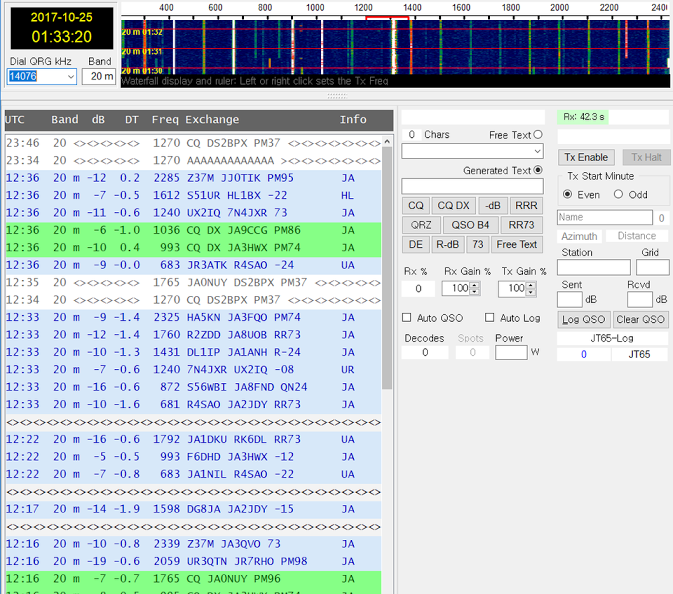 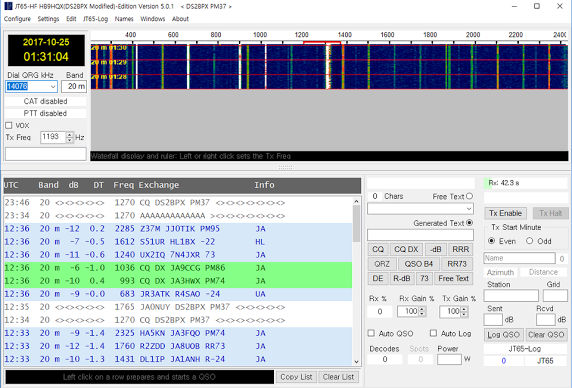 So, JT65-HF is not optimized on Laptop, tablet. 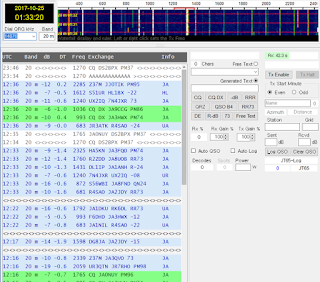 User interface has flexible size changed (Height, Width), Accordingly, the frequency of FFT Spectrum waterfall region is calculated in real time.